Moorine Marauder - from March to June 2010 there were 85 cows positioned at the Margaret River Region. This was a part of the world's largest art event Cow Parade. In July 2010 they were auctioned off. The Proceeds were going to regional beneficiaries and charities. 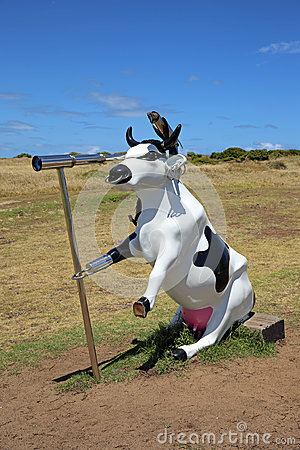 This cow now is located at Cape Leeuwin Lighthouse near Margaret River in Western Australia.